SAN DIEGO (KUSI)- World renowned San Diego oceanographer and one of the founders of the University of California, San Diego has passed away. 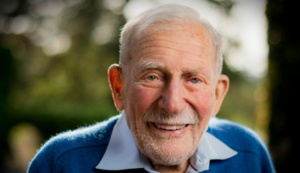 Walter Munk died today at his La Jolla home, according to the Scripps Institution of Oceanography. During his career, Munk made groundbreaking observations of waves, ocean temperature, tidal energy and the rotation of the earth. During World War II, Munk helped plan allied amphibious landings, using his expertise to predict days when wave conditions would be most suitable to enable landing craft to get close to the beach. After the war, he helped develop tsunami early warning technology that was incorporated into modern warning networks. He also was instrumental in convincing the University of California system to build a new campus in San Diego. Walter Munk was 101 years old.